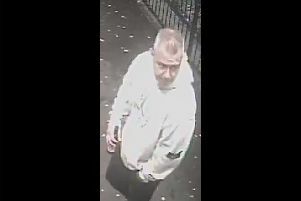 Police are appealing for help in trying to trace James Kindred, of Govanhill. Police are appealing for help to trace a vulnerable man who has been reported missing from the Govanhill area of Glasgow. James Kindred (25) was last seen leaving his home in Allison Street around 4.50am this morning (Sunday, March 24). He is described as white, 5ft 5in, thin build with dark hair and heavy stubble. He was wearing a black zipper, dark coloured jeans and dark trainers. Inspector John McCartin, from Cathcart Police Station, said: “James is vulnerable and it is absolutely vital that we trace him as soon as possible.